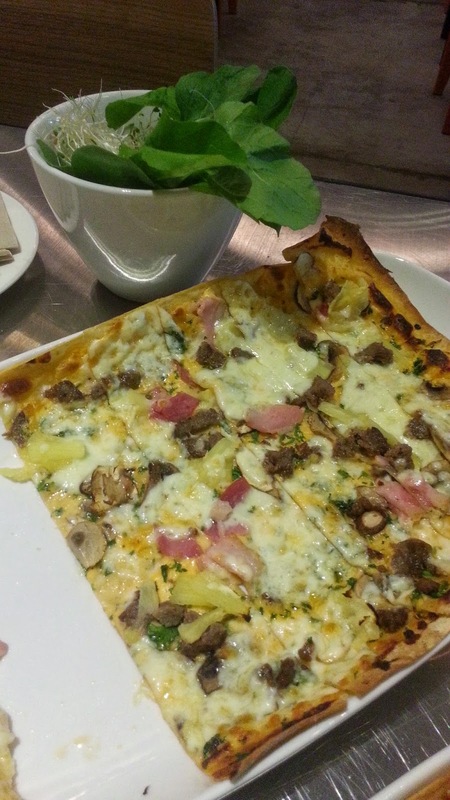 I'm one big fan of Chef Chris' panizza or referred to in Recess' menu as Original Roll Up Pizza. It's so apparent in this blog that pizza is one of the food on top of our family's list. We actually thrive with pizza deliveries and when dining out and undecided, pizza typically fits the category. So, knowing Chef Chris and his unique pizza creation, we came over on their soft opening weeks back to get loads of the much-talked about pizza. Our meal began with a complimentary hot baguette and garlic butter, though I'd rather have my bread with a mix of EVOO and red wine vinaigrette. .
Bhogs and I had coffee as well, we came a little late for our afternoon snack and way to early for dinner so I guess, it's fitting to have our "cups of joe" with our pizzas. 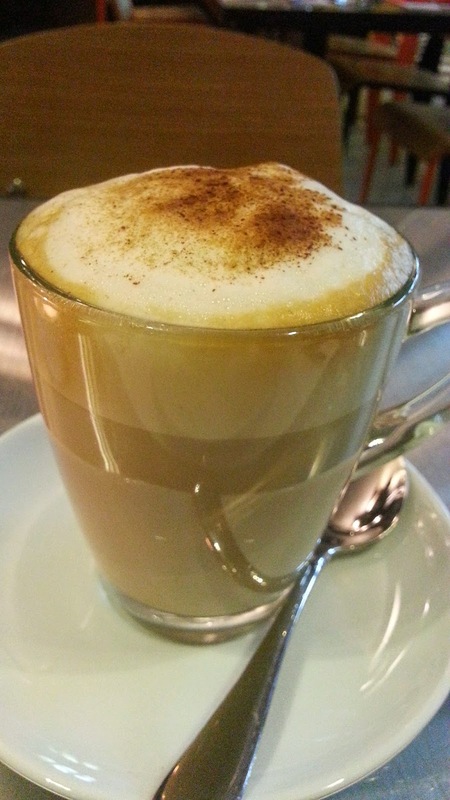 We had Cafe Americana to be safe. Not long after 10 minutes our first Roll Up Pizza came. 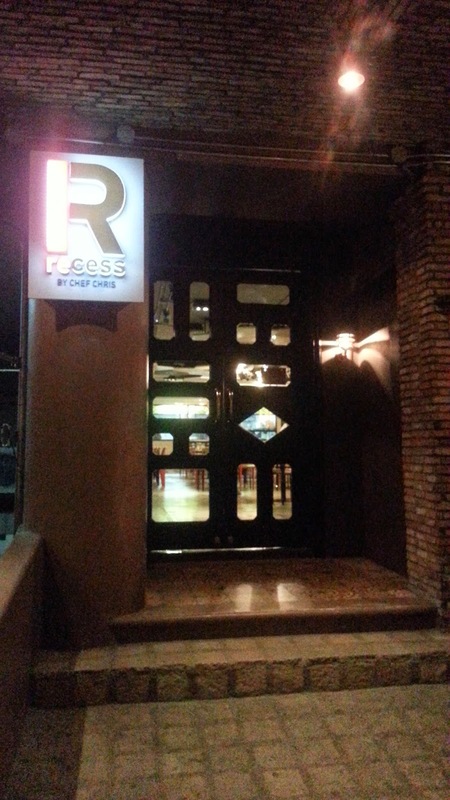 You will find the menu of Recess very informative and still on the academe theme. They have ten ingenious choices for the Roll Up Pizza. We had Titanium TI 22 and Platinum PT 78. Don't get confused, there aren't any chemicals or these elements on them, they are only named after the so-called scientific elements, to make it fancier. The above photo shows TITANIUM TI 22. It has a heap of roast lamb and lemon pepper-seasoned shrimp. I never liked beets but I want something colorful in our pizza and the slices of red beets can best do the deal. The beets were grilled first before putting on the top of the thinly rolled pizza crust and was finished off with lots of feta cheese. Ah, all were in perfect harmony, and for all I thought you can only use mozzarella or Eden cheese (light cheddar) on pizzas. Each pizza is served with a cupful of fresh arugula and alfalfa sprouts. 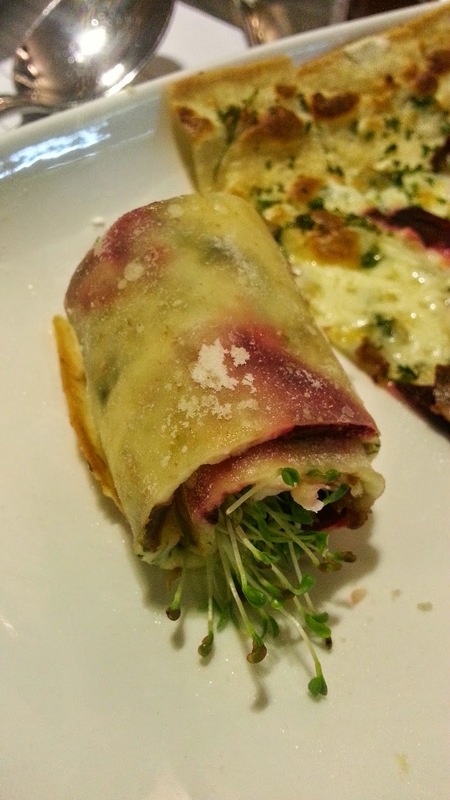 The rectangular paper-flat pizza is served sliced horizontally, and the way to eat it was to roll up one slice with the alfalfa sprouts and a few arugula on the middle, as seen on the photo above. We also ordered another pizza, the PLATINUM PT 78. This time the crust was spread with tomato-infused cheese sauce, then gloriously topped with ground Angus burger, bacon, pineapple and mushrooms. 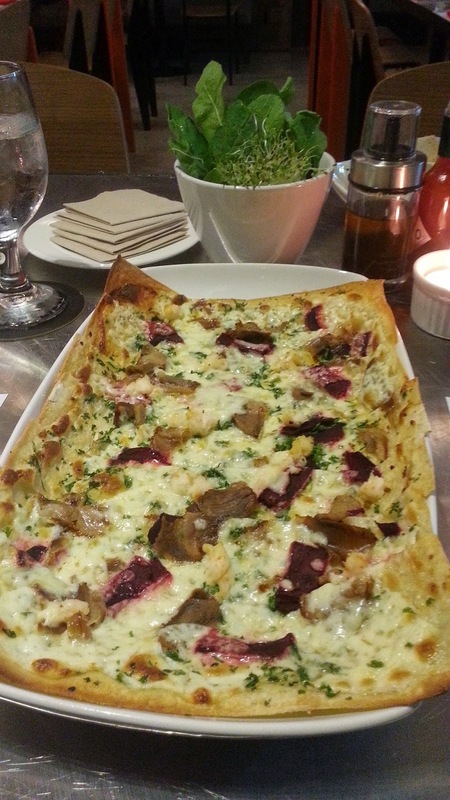 Another spectacular panizza! They did play a lot with a variety of ingredients but the crust remains perpetually second to none. They also have whipped a few for dessert. 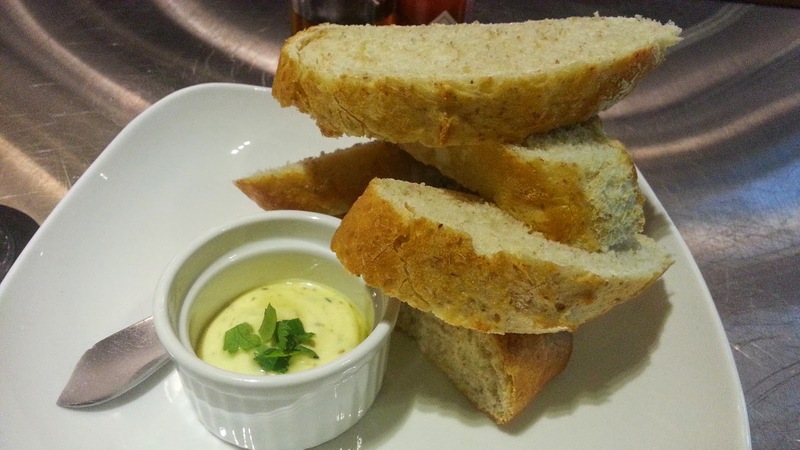 Some crowd favorites like Chocolate Lava cake and unusual on an Italian menu, Turon Ala Mode. 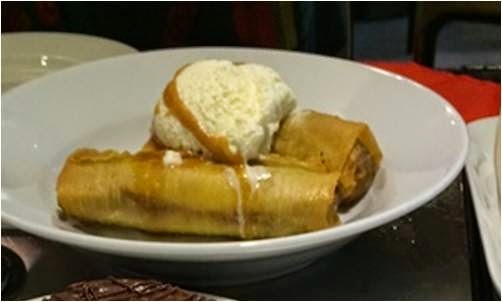 However, instead of the typical street-bought Turon which uses lumpia wrappers, they used filo pastry and deep fried the rolled stuff without brown sugar, which then was sweetened with a scoop of vanilla ice cream and drizzled with creme caramel. Pardon me for not trying out some other food on the menu. But we will definitely be back for the other selection, not just the pizza. 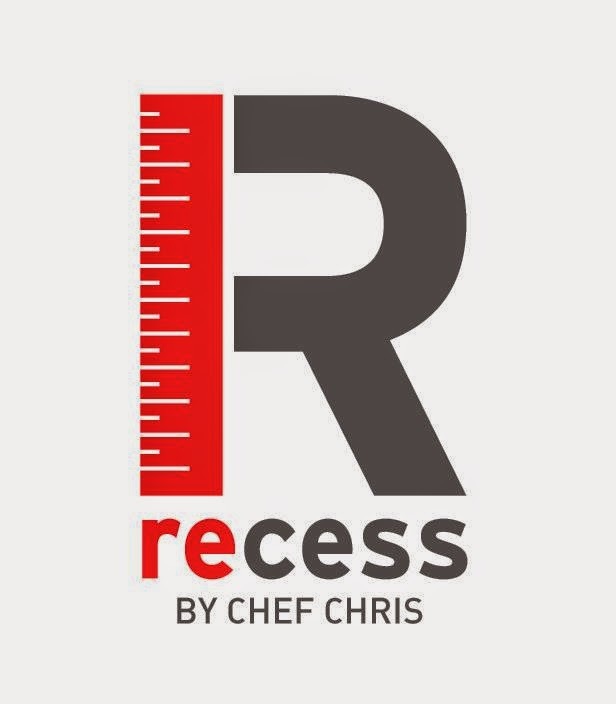 You may also want to check out my other articles on Chef Chris' ingenuity. @Edelweiza Same lang, expensive din.